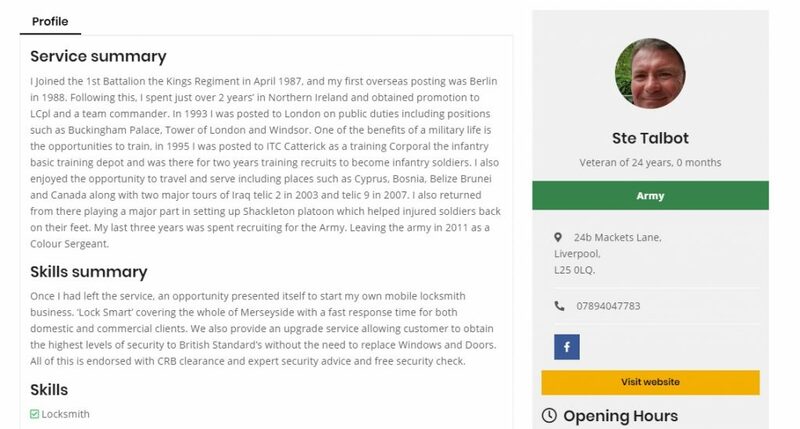 We had the opportunity to interview Self-Employed Veteran Ste Talbot, member of Veterans Next Step and owner of ‘Lock Smart’. Lock Smart is a 24-hour locksmith service based in Merseyside. We spoke about the struggles of finding a job after coming out of the services and what Veterans Next Step means to him. Why did you choose to be self-employed? Have you been on any other directories? Why did you join Veterans Next Step? Why do you think it’s better than other directories? What are your thoughts on 12 months free? If you are a self-employed Veteran, register here today.